Add power easily almost anywhere. Max rating 24 volts, 16 amps. 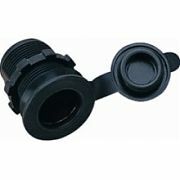 Socket and cap only.